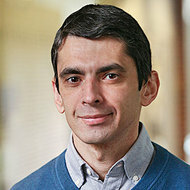 Nelson Sá came to Brandeis in 2017 after teaching at Vassar College for nine years. He teaches Introduction to Microeconomics, Introduction to Macroeconomics, Macroeconomic Theory, Microeconomic Theory and Game Theory. His current research interests focus on telecommunications policy, including the evaluation and measurement of the costs and benefits associated with electromagnetic spectrum sharing. Sa, Nelson with Ana Paula Ribeiro and Vitor Carvalho. "International Collaboration and Knowledge Creation: Evidence from Economics in Portuguese Academia." Science and Public Policy 44. 1 (2017): 50-64. Sa, Nelson. "Capital Specialization and Aggregate Productivity." Economics Bulletin 36. 3 (2016): 1398-1409. Sa, Nelson. "Market Concentration and Persuasive Advertising: a Theoretical Approach." Journal of Economics 114. 2 (2015): 127-151. Sa, Nelson. "Market Structure and Welfare under Monopolistic Competition." Economics Letters 132. (2015): 69-72. Sa, Nelson with Evsen Turkay. "Ticket Pricing and Scalping: a Game Theoretical Approach." The B.E. Journal of Economic Analysis and Policy 13. 2 (2013): 627-653. Sa, Nelson with Michelle Connolly and Pietro Peretto. "Sustaining the Goose that Lays the Golden Egg: A Continuous Treatment of Technological Transfer." Scottish Journal of Political Economy 56. 4 (2009): 492-507.